Here is Doug McPherson’s arrangement of a Merle Travis song, with practice tracks, chords, lyrics, and 3 part harmony in the chorus. The lyrics are from the Merle Travis 1946 recording on the 78 RPM box set, “Folk Songs of the Hills”. I used the Country Gentlemen’s arrangement, as performed at their reunion show at Woodstock in 1992, as a starting point, but the verse order of the earlier Merle Travis recording. The structure of the song is: Instrumental-verse-chorus-instrumental-2 verses-chorus. 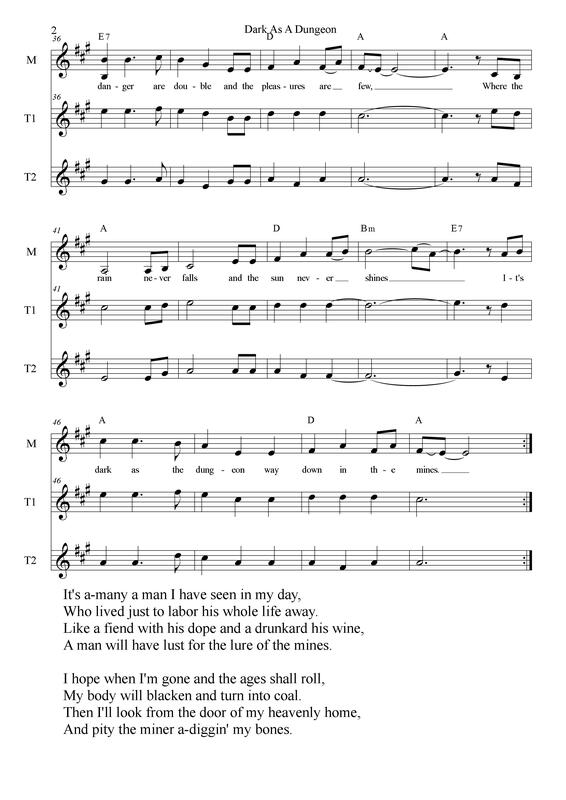 Sheet Music: right click here to download sheet music as a single file PDF, or… click on the music below to expand, or right click, then save images to download, (2 files). These tracks are the entire arrangement, minus the repeated verse, with the targeted part a little louder, using a vocal “ah” sound, and the other vocal parts and chords using a piano sound. 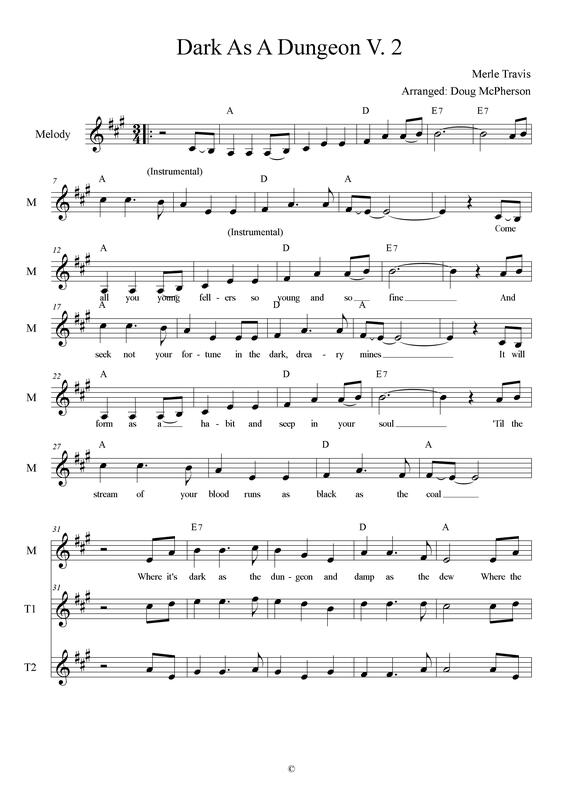 Voice types (alto etc.) are suggestions only. Right click on the titles to download, or click on the play icon to play. I HOLD NO COPYRIGHT ON ANY OF THE SOURCE MATERIAL FOR THIS ARRANGEMENT. PLEASE ALERT ME IMMEDIATELY OF ANY INFRINGEMENT.